Probably because of the crack. Its clean. Can I possibly be in, too? everyone is welcome to play today i believe! I just wanted to say that I had so much fun today, really, the most fun I've had playing with DPG, and also, thank you for allowing me to play, I haven't been able to just sit back and have at it with a multiplayer game in a really long time, so today truly meant a lot to me, personally. Thank you. Oh! I almost forgot, "winning" the game in the raffle is actually the first thing I've ever won in any kind of competition or drawing, ever. It's an interesting feeling, not being the one left out, so, thank you for that even more. Fact is, DPG made this a really, really, really great day for me. 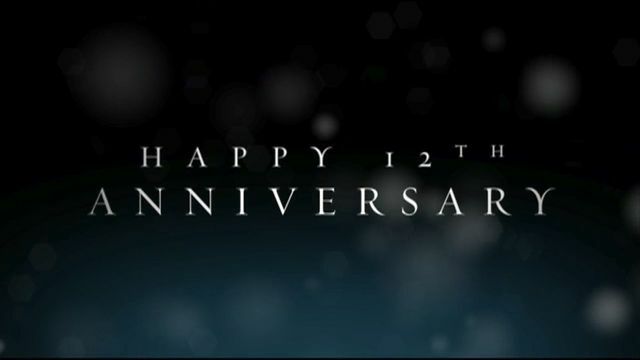 Glad to hear you had a great time at the 12th year anniversary event @xkrimzonx. Looks like it was a great turn out. It was really cool for Max and everyone else come together and help make this happen. I tip my hat to yall for hosting such a fun tournament. I was having fun and then it started to die out. ( mostly because i've really never played cod2... maybe put like 10 hrs total into that game in the past, but thats about it). I, also would like to apologize for forfeiting the last few matches... that was a bad sportsmanship by me and the team ( although it was a team decision ). Overall, It was really nice to see everyone get together on this special day. Here's to another 10 years of DPG. Thank you Max and others for providing everyone with a free game. Thank You all for A very Great evening again, Special Thx for all the Organizers and For Max and Co for having the Balls all those Years ago For starting Up DPG. Also thanks to @MISTERoldShadow for Subbing in For a couple of Matches also thx for the Tips. Was also Good to See @xkrimzonx Back. Thank you to everyone who showed up and participated! At first I was worried when I only saw about 16 of us lol, but I guess its expected that people will show up late. When we started the tourney we ended up having teams of 4 with a total of 6 teams. I think just about everyone had a blast, and np @Hottie, our team gave you guys the benefit of the doubt. So no worries there. Thank you @Bojangles for putting all the technical stuff together, and thank you @Studdmuffin for not leaving me by myself to organize getting the event started lol. Thanks again to @Arbo for his Insurgency game donation, @remedy for his 2 or 3 keys he donated, and thank you especially to @Gefecht who donated quite a few games on Origin as well. Here is hoping for a CoD2 DPG tourney! Thank you everyone involved in the organization! That has been the most fun since playing the game in CAL and CEVO. Great job to everyone on the organizing side, the donating side, and to my fellow DPG before me for making this family thrive over these years. Also, congrats to all the winners! I'm glad you all had such a great time in the CoD2 tournament! It always brings a smile to my face when others have so much fun with DPG related events, it is why I put so much effort into them, so you guys can have a blast! Thanks to @Max][mu$, @Gefecht, @Arbo and @remedy for giving out prizes at the end. Just so everyone is aware Riche did not carry me thru the whole league. Don't we get a medal for being in second place?? ?